Biobag 60 Gallon Compostable Liners, 44.five” x 55″, 10 Bags per Roll [8 Rolls per Case] – BioBag provides Simple and clean solutions for the choice of organic waste in commercial kitchens and businesses. BioBag’s number of both stock commercial liners and custom designed bags have compatibility the most well liked containers in the marketplace. 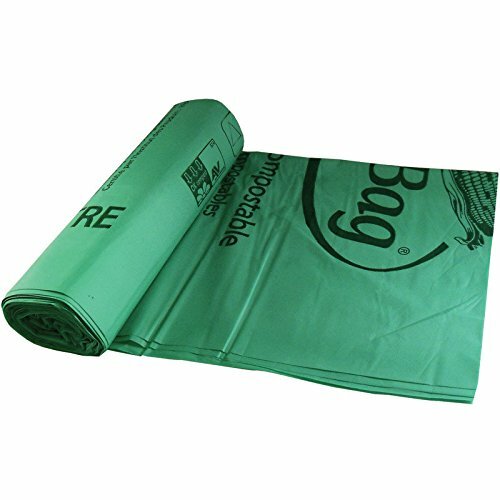 We provide more sizes than some other compostable bag manufacturer. BioBag Commercial Liners: Scale back labor prices by protective containers and keeping them clean; Very prime penetration barrier against bacteria, viruses, spores and mildew; Star sealed on the bottom for added strength and sturdiness; Manufactured in the united states with GMO Free based totally resin sourced from Italy; Certified Compostable by the Biodegradable Merchandise Institute. Meets the USA Same old ASTM D6400 and the European Same old EN 13432.For Highest Results: Use inside of 365 days of purchase. Store in a groovy, dry place. Don’t place hot liquids in bag or in contact with film.